With American Heart Month upon us, you’ve probably heard a lot of tips for improving your overall health and heart health statistics – like the fact that heart disease is the number one killer of Americans. 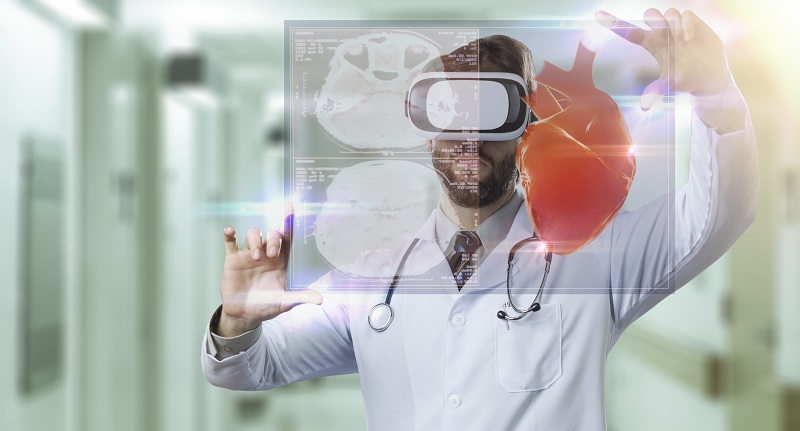 But today’s doctors are using a new tool in their quest to improve surgical treatments for heart health issues – virtual reality. Surgeons at Stanford’s Lucile Packard Children’s Hospital use True 3D to plan heart surgeries on even the youngest patients. Surgeons can turn CT scans into a virtual 3D interactive object of a patient’s heart, lungs, and chest cavity, allowing doctors to examine every angle of the anatomy and anticipate what they will encounter during surgery. This is just the tip of the iceberg in VR’s use in medicine. 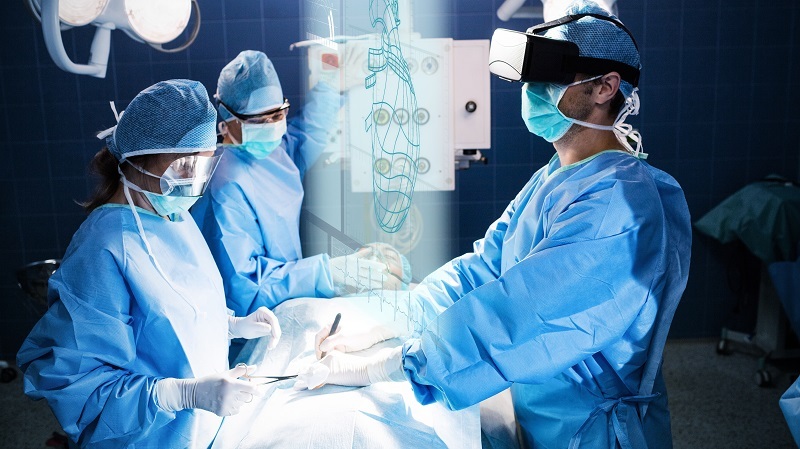 Let’s explore more of the ways that virtual reality is shaping the future of medical training and surgery simulations and how our virtual reality headset rentals can help you showcase your simulations. Medical school students focus a lot of energy on learning the ins and outs of human anatomy, but there’s only so much that one can learn from textbooks and plastic anatomy models – and med school cadaver time is precious. VR technology allows medical students to get up close and personal with anatomy. Students can deconstruct the human body layer by layer, stand inside a contracting human heart, take a stroll through the lungs, and explore the differences between healthy organs and diseased ones. Using VR headsets, students are able to acquire essential anatomical knowledge more quickly than using textbooks and pictures alone. The old adage in medicine of “watch one, do one, teach one” creates an unforgiving learning curve for surgeons – requiring students and residents to make large leaps in skill while leaving some patients wondering if their surgeons are actually ready to perform the procedures they’ve been assigned. VR allows medical students and residents to practice procedures over and over until they’ve mastered the right techniques. Where medical students were once graded on how long it took them to perform a procedure, now they can be monitored for the mistakes they make, without risking injury to patients. Did you know that the US needs an additional 20,000 surgeons by 2020 to treat its aging population? Yet with school, training requirements, and time needed to master new surgery skills, it can take years for new surgeons to be ready. Virtual reality could be a viable solution to this problem. By allowing medical students and new surgeons to learn new techniques without having to practice on real patients, VR could increase the speed with which the demand for new surgeons is filled. VR simulations of surgery have come a long way in the short time they’ve been in use. While early versions were lauded for immersing doctors in the visual experience of surgery, they lacked 50 percent of the experience – being able to feel the experience of performing the procedure in real life. 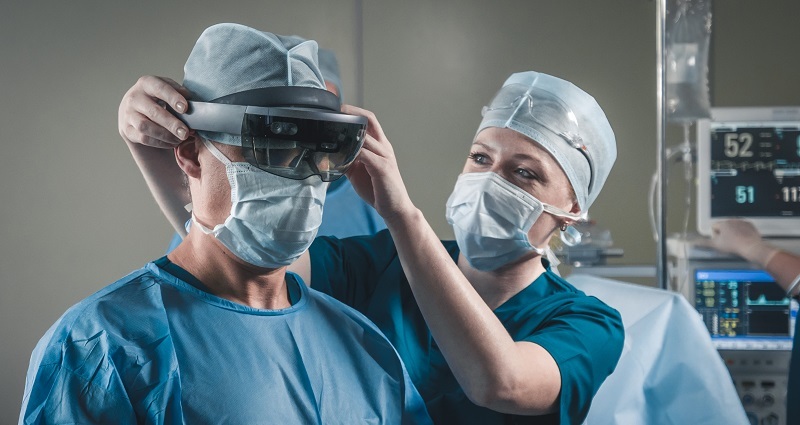 Newer VR based surgical training technologies have begun integrating haptic, or tactile, technology that allows surgeons to feel the resistance of skin, muscle, and bone they will experience during an actual procedure. ImmersiveTouch uses the HTC Vive and Oculus Rift VR headsets in conjunction with haptic styluses to allow surgeons to explore patient-specific surgery techniques. By replicating the physical sensations and visuals of surgeries, this immersive technology allows surgeons to practice difficult operations over and over again until they’re confident in their abilities. VR as a bonified training and education tool is being embraced by both the medical and educational communities. Medical VR powerhouse Osso VR was selected as the winner of the EdSim Challenge by the Department of Education in 2017 for their work designing the next-generation of simulations to enhance the technical education and strengthen careers of medical students and surgeons. Want to incorporate VR into your next medical conference or need hardware to demo your VR medical simulation software to clients? Rentacomputer.com can provide you with the latest VR headset rentals you need to make your demonstration a success without breaking the bank. From the Samsung HMD Odyssey to the Oculus Rift, HTC Vive, and Microsoft HoloLens, our team of experts can help you select the right VR headset rentals for your needs. We deliver all of your rentals directly to your event or meeting site and can even provide on-site technical support. Get a quote for all your VR headset needs today!